Defence Secretary Michael Fallon is expected to announce an additional £640-million investment in Britain’s Trident nuclear submarines to be allocated before Parliament even votes on renewing the weapons system this year. The substantial investment is seen as a tactical move to cement Trident renewal, making it more difficult for MPs to reject the legislation given the amount of public funds already spent. Fallon’s additional funding will bring the total sum already spent on replacing Britain’s at-sea nuclear deterrent to £3.9 billion, while the overall cost of renewing Trident is estimated at £31 billion with a £10 billion contingency fund. The Campaign for Nuclear Disarmament (CND) argue the total cost of renewing Trident, including operating costs for its future life-span, could reach £182 billion. Hudson said there was growing evidence nuclear submarines could become vulnerable to cyber warfare and attacks by underwater drones. Fallon will address his speech on Thursday to Labour, arguing the opposition party will make the world more dangerous by pursuing unilateral nuclear disarmament. He will dismiss claims that underwater drones will make submarines redundant. “Claims that our deterrent is not needed, is easily detected, provocative or too expensive are bunk,” he will say. “All of these arguments have one thing in common. They are a desperate attempt to find a fig leaf to cover up [Labour’s] opposition to our nuclear deterrent. Of the £642 million to be invested in Trident, £346 million will be spent on improving facilities at BAE Systems in Barrow and Rolls-Royce in Derby, where the new submarines will be built. Roughly £136 million will be spent on developing 17 missile tubes for the submarines. Fallon told the BBC on Thursday that rejecting Trident renewal could endanger thousands of Scottish jobs and millions of pounds of investment in the region. 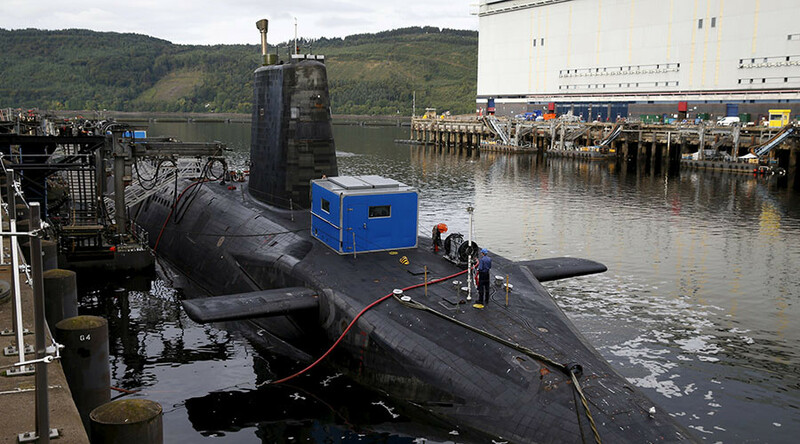 “The GMB union understand that the Trident program is going ahead. We are renewing these boats now, we’re spending money on them and we’re creating the skilled jobs in the Trident program. Parliament is expected to vote on whether to extend the Trident program in the summer. While the Conservative government is strongly in favor of its renewal, Labour is split over the issue. The Scottish National Party (SNP) is strongly opposed. Last week, former Defence Secretary Lord Browne warned Britain’s nuclear submarines will become vulnerable to cyber-attacks and drones in years to come. The Labour peer said the world has “grown out” of nuclear weapons systems and dismissed fears about employment losses, arguing that keeping jobs is the “worst possible reason” for building a nuclear military system.